It’s clearly boat show season, as you can’t skip a stone without hitting one over the next two weekends. If you are in the vicinity of Newport, Sandusky, Oakland or San Diego in the States, or somewhere near Hampshire, Croatia, Greece or Germany in Europe, then you’ve got something to do this weekend. Some shows feature boats, some feature yachts, some both. 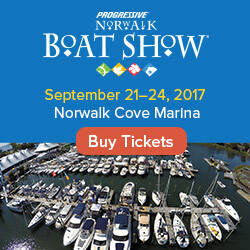 All events are listed with additional details in the all new boat show calendar on FirstBoat.com. We are now taking suggestions for future events that you’d like to see on our calendar. See the boat show calendar page for details. Day in and day out the US Coast Guard is hard at work rescuing folks from precarious situations across America's waterways. Tuesday in Tampa, however, was busier than usual. The Coast Guard was called to the aid of a 21-foot boat Tuesday morning that was taking on water. The vessel was about 30 miles west of Anclote Key off Tampa, which is quite a distance for a boat of that size. All five people aboard were returned safely to shore, complete with a free ride upon a CG helicopter (see video). Later in the day, a woman called authorities because her husband had not returned from a trip to test his boat’s engine. The Coast Guard found the man floating in a raft near Clearwater Pass, not far from his sinking 33-ft Bertram. The St. Petersburg Times reports that the man was able to be located because he used an EPIRB. Other than hitting a submerged object, this man did everything right in order to make his rescue more likely – he not only had an EPIRB (Emergency Position Indicating Radio Beacon), but he had also filed a float plan with his wife and had a life raft onboard. In the news: Miami Herald. St. Petersburg Times. New York is the first state to require life jackets to be worn on vessels up to 21 feet during the coldest months of the year. In an effort to reduce boating deaths in the state, the law requires that people of all ages aboard all pleasure craft as large as 21 feet – including kayaks, row boats, sailboats and motorboats – wear life jackets while on a boat from November 1st to May 1st. This is in addition to the existing NY law requiring children under 12 to wear a PFD on boats up to 65 feet when on deck while underway. The new law recognizes that small boats, cold water and lack of life jackets are a lethal combination. According to the Associated Press, about 90 percent of the people who died in US boating accidents last year were not wearing life jackets. Additionally, even though there are fewer boating deaths in the winter overall, the fatality rate from boating accidents typically increases in the colder months. For example, July of last year saw an 8% fatality rate nationally, compared to 25% in November. So what’s the bottom line? If you boat in cold weather, wear a life jacket. It will not only save you a few bucks by avoiding a fine, but it could save your life. Here’s a twist on one of our favorites - The ukulele version of "Son of a Son of a Sailor." It’s one of those weekends where it seems like you can’t drive around the corner without bumping into a boat show. Nautical events seem to be sprinkled all over the United States over the next few days, with boat dealers hoping that they will continue to see signs of economic recovery. 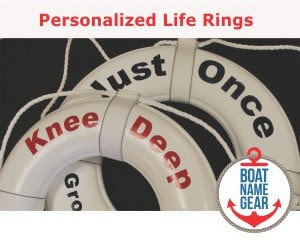 If there’s one near you, I encourage you to drop by and look around – there’s no better place to learn about boats and what type of boat is best for you than somewhere with a large selection of different brands and styles of vessels. The in-water shows are my favorite because you have a heck of a better chance of getting out on the water than you do with all the boats on lifts in a convention center. And guess what - three of the four shows this weekend are in-water! This weekend’s shows, including Tampa, Oakland, AC and Long Beach, are all listed with additional details in the updated boat show calendar on FirstBoat.com. Check them out and have a good time!